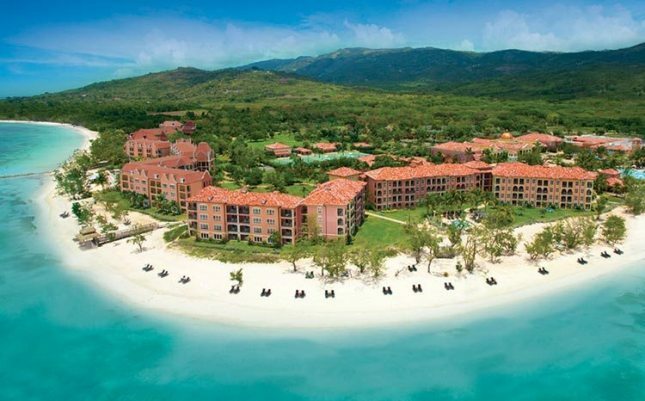 Sandals Whitehouse European Village & Spa is an alluring adults-only resort on Jamaica’s untouched south coast. It is a reminder of the island’s rich colonial past and the village is representative of the finest of Italian, French and Dutch culture with restaurants, shops and formal gardens that border an endless stretch of pristine beach. Sandals Whitehouse is an impressive resort. This 50 acre fantasy resort is located within a 500 acre reserve, on the island’s Caribbean south coast close to the west coast resort of Negril and one and a quarter hours from the international airport at Montego Bay. All 360 guest rooms and suites enjoy spectacular ocean views and are equipped with king size bed, ensuite facilities with bath and shower, air-conditioning. coffee maker, satellite TV & more. French Deluxe Beachfront Patio Room – Large bedrooms with patios. Honeymoon French Deluxe Beachfront Patio Room – Large beachfront room with a patio and views of the beach and or pool. Located on the first floor in the French Village. Honeymoon Premium Beachfront – Large beachfront rooms with balconies or patios and views of the beach and or pool. Located on the first floor in the Italian and Dutch Villages, and the second floor of the French Village. Honeymoon Beachfront Walkout Room – these rooms feature access to the beach & gardens from the patio with a beach view. Luxury Beachfront Room – Beachfront rooms located in all three villages. All rooms have balconies. 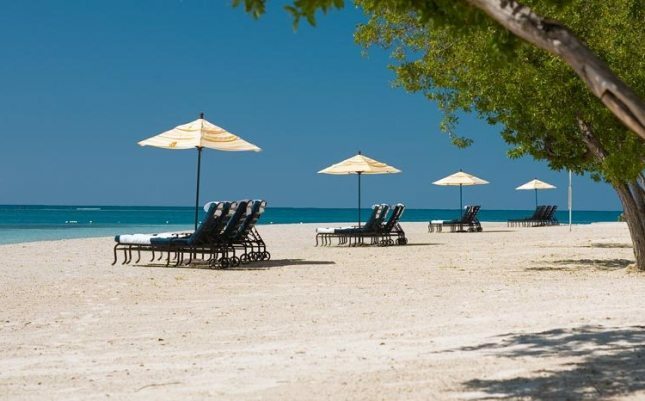 Honeymoon Grande Luxe Beachfront Room – Beachfront rooms located in all three villages. All rooms have balconies. Grande Honeymoon Beachfront Walkout Concierge – large beachfront rooms on the ground floor with a patios and beach views. Penthouse Honeymoon Beachfront Concierge Room – Elegant bedrooms on the fourth floor of both the Dutch and Italian Villages. All rooms have balconies. Full Concierge service. Grande Luxe Beachfront Concierge Suite – Spacious bedroom with an alcove living area. Each suite has TV and marble bathrooms with whirlpool bath. Easy access to the pool and beach. Patio or balcony. Walk-in shower & double vanity. Honeymoon Beachfront Penthouse Concierge Suite – Spacious bedroom with an alcove living area. Each suite has TV & marble bathrooms with whirlpool bath. All suites in the Dutch and Italian Villages. Located on the top floor of buildings. Easy access to pool and beach. All with balconies. Walk-in shower & double vanity. Honeymoon Beachfront One Bedroom Luxury Suite – Elegant suites on the first through third floors of the Dutch and Italian Villages. Featuring separate living room, large patio or balcony. Featuring our exclusive Suite Concierge Service and Butler Service. One Bedroom Penthouse Honeymoon Beachfront Suite – Spacious bedroom with separate living room. Each room is furnished with TV, marble bathrooms with whirlpool bath, in-suite bar, and safety deposit box. Large balcony, walk-in shower & double vanity. Featuring our exclusive Suite Concierge Service and Butler Service. Guiseppe’s offering fine Italian dishes including pasta, pizza and anti-pasta. 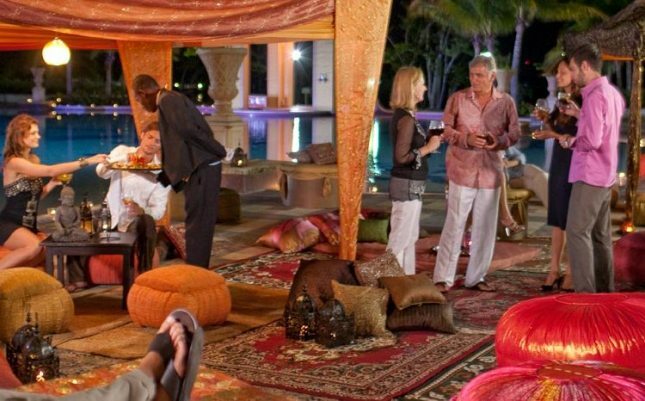 The resort also offers a selection of bars for guests to sip a cocktails or premium brand drinks.